What Happened to Player Rivalries? Home / All / What Happened to Player Rivalries? 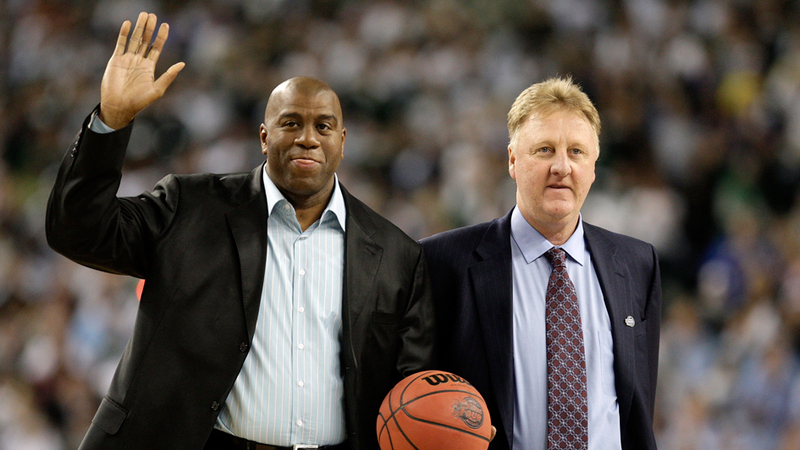 What made the Magic Johnson versus Larry Bird games, and Michael Jordan verses Isiah Thomas matchups all the more interesting to watch was the mutual hatred and respect each player had for their counterpart. They shook hands at the beginning of games, and it was possible that they used those same hands in an on-court fist fight. The games were not solely interesting because of the potential quarrel, but the possibility was welcomed. It was just a part of the game. In today’s game, the hatred has died down. The players have banded together. The rivalries seem lost. Reason #1: Players are being traded more frequently and signing to different teams in what seems like every off-season. No point hating someone you might be coworkers with in the near future, right? There has been the divide between the management of the NBA and the players, so it makes sense that the players play nice with each other, and stand with solidarity as a unit. Reason #2: The NBA is tackling down more. While a hard foul might been overlooked in the past, they’re met with more suspensions and fines these days. Reason #3: In the last three decades, professional athletes are being seen more as role models, especially given the widespread viral visibility of their private actions. Athletes have had to toe the line a bit more than their counterparts from the ’80s. It’s not like fights were ever allowed, but there’s a lot more at stake now–to the point where athletes may be thinking twice about deepening rivalry relationships. What are some other reasons you think player rivalries are gone?